The world would have been less beautiful a place without flowers. The colors, appearance, and fragrance of flowers elevate love and happiness in life. For its aesthetic appeal, they are still the best kind of gifts for all kinds of special occasions. 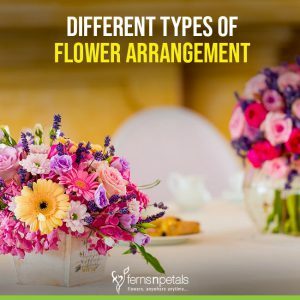 A flower arrangement is an artistic arrangement of flowers and apart from special occasions, one can also bring these floral arrangements to their living room, office table, or study table on any regular day. Because flowers set the mood right and help in bringing more focus and concentration to work. Did you know while florists in China were aesthetically decorating flowers in a water container, the rest of the world was busy making wreaths, braiding garlands and discarding the petals? Chinese were the first ones to use water in a cut-flowers container. Japan took this “flower arrangement” thing even further by merging the cut flowers, water, and containers with various designs and art. Gradually, flower arrangement became an art that inspired many masters to create philosophies and principles. Later on this art came to be known as Ikebana. Today, this art today is more than 500-year old that involves arranging of natural materials like flowers, twigs, freshly cut branches, berries, seeds, grass, or vines. You will be surprised to learn that there is a strong spiritual context to ikebana. It is also frequently used as a representation of birth and death. Today, flower arrangement is a special form of art and an industry. You will see the sue of flower arrangements in various decorative and devotional purposes. But do you know that Flowers did not always exist? The appearance of flowers on this planet happened just 140 million years ago and prior to that, ferns and cone-bearing trees dominated the earth. Oriental: It is an arrangement that is created from many flowers to give it a mesmerizing look. The USP in this arrangement is that the flowers are generally arranged in a line. Traditional or Western: In this type of flower arrangement, the emphasis is on the “Use of many flowers as a mass”. Modern: In the case of modern flower arrangements, there are no hard and fast rules about the making. The look of this floral arrangement totally depends on the taste of the florist or floral designer. Bouquets are always easier to design than a formal arrangement. These flower bouquets are majorly made of roses, followed by gerbera daisies, carnations, and chrysanthemums. 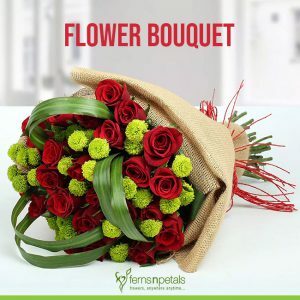 These flower bouquets are apt for any occasion or purpose, be it expressing love or sending condolences. 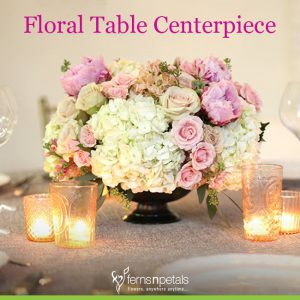 As the name says, these floral table centerpieces are put on the tables that enhance the whole beauty statement of a premise be it a home or office. Mostly, people prefer to use table centerpieces during major occasions like Christmas, Thanksgiving Day, Weddings, and office parties, etc. Its an arrangement of the flowers in baskets of different depths. 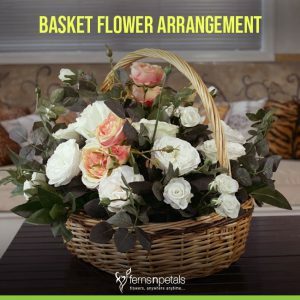 You can gift such floral baskets on special occasions, like Mother’s Day, Father’s Day, Christmas, Anniversary, Birthday, etc. You can also send these beautiful flower basket arrangements to congratulate someone on a new achievement or to greet “get well soon”. A circular garland, generally woven of flowers as well as foliage, traditionally signifies celebration or honor. 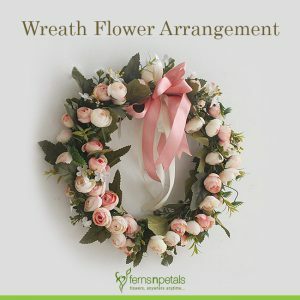 Also, wreaths are in popular use during funerals, followed by occasions like Christmas and Thanksgiving Day.